Amsterdam return to the Mathew Street Festival! Amsterdam playing at the MSF in 2005. Amsterdam have been invited to play at this years world famous Mathew Street Festival. 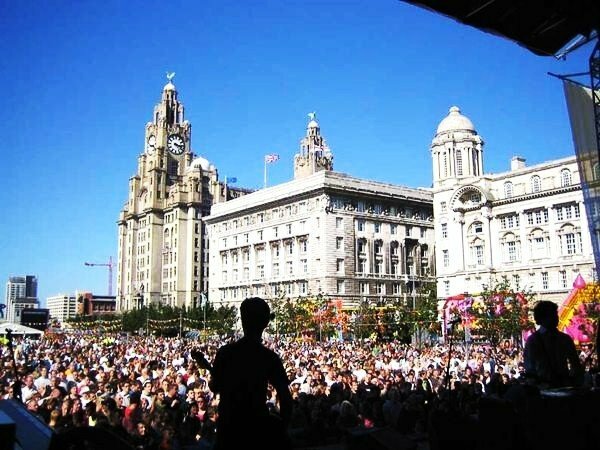 Following on from two career defining performances in 2005-6 the gang are delighted to be returning this year on the ‘Made in Liverpool’ stage. The venue is Williamson Square on Sunday August 28th and the band will perform at 1.30 in the afternoon. The event is completly FREE.